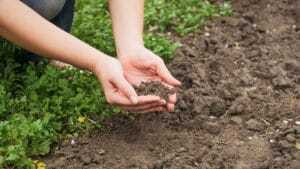 The pH of the soil in your garden and lawn is very important because, depending on its value, you can grow or not the plants and grass you love. You often hear that some plants need acidic soils, while others, on the contrary, need alkaline soil. How can you be sure about what type of soil you have in your garden? Simple: by testing its pH. Don`t worry, you do not have to be a chemist to do this. Generally, soil`s pH ranges from 4 to 8; beyond these values, ​​it is virtually impossible for plants to survive. Therefore, soils with pH above 7, as well as those whose pH value that falls below 5, need corrections. To determine the exact soil`s pH in your garden and lawn, you can send samples to a lab or buy a kit to test the soil yourself. However, both of these procedures can be costly, but you also have a simple and inexpensive alternative. Test the soil in just a few minutes, using two easy-to-find substances: wine vinegar and sodium bicarbonate. Take a soil sample in a container and add half a cup of wine vinegar over it. If you notice air bubbles or the earth sizzles in the contact with vinegar, your garden soil is alkaline, with a pH higher than 7. The soil needs to be conditioned with fertilizers that balance the pH, this will help eliminate the brown patches on lawn and the slow growth of shrubs and plants. The average temperature in Colorado is 72 degrees a year, so the lawn planted in the yards across the state must be rather suitable for cool weather. However not all cool season grasses can be planted successfully here, because there are individual particularities for each lawn. Read on about the most common grass planted successfully on Colorado lawns. This type of grass is very tolerant and sturdy, which makes it resistant to damage. However, it also forms a lot of thatch, therefore aeration is necessary once a year. Kentucky Bluegrass is also disease and insect prone, so you will likely have to work on eliminating these pests. This is another tough types of grass, suitable for yards with foot traffic. It maintains its vibrant green all year long and it does not form as much thatch as the Kentucky bluegrass. Perennial ryegrass will grow even in poorly drained soil. Fescues prefer shady areas, so it is ideal for lawns that are not exposed to the sun all day long. This grass needs very little moisture and fertilizer to flourish and is the perfect drought tolerant grass for states that lack of moisture. This type of grass is not the prettiest, but it can survive at high elevations in Colorado. 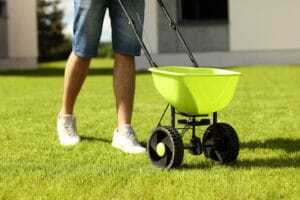 Originally Posted on: What Grass Is Good For Colorado Lawns? 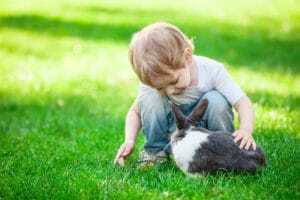 via Blogger What Grass Is Good For Colorado Lawns? Apply fertilizer two more times during the growing season as well – fertilizing your lawn once around the middle of the season and once around the end of it should be enough for keeping your grass strong, healthy and green all season around. Whatever fertilizer you use, always make sure to follow the instructions on the label of the fertilizer. Brown patches on the lawn are among the most common lawn-related problems. 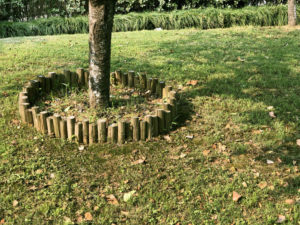 Caused by the proliferation of fungi, the brown circles and patches appear and thrive in hot and moist environments, such as excessively watered lawns or after periods when the weather is rainy and hot at the same time. Over-seed with a lawn variety that is more resistant to brown patch disease – just throw the new seeds on the lawn, they will gradually replace the old, more sensitive grass variety. Pet urine, especially the urine of dogs, is among the worst enemies of healthy grass, leaving brown spots in grass and hard to green up – a problem that is especially frustrating for proud pet owners who would like to reconcile their love for animals with their wish to have strong, healthy, green lawn. The reason why pet urine is harmful for lawns is the high contents of minerals and other elements found in the liquid. While nitrogen is an essential element for any plant, the excessive amount of nitrogen that the plants are bombarded with whenever pets leave their urine on the lawn is highly damaging. Pet urine contains high amounts of salts as well as substances that can change the pH of the soil – a process that inevitably kills the grass. The owner can create a pet-friendly landscape that has delimited areas that pets have access to and areas covered in grass that pets are kept away from. Lawn fertilization is an ongoing process that should start in spring, when soil temperature reaches 55 degrees Fahrenheit, that is, when grass starts growing and lilacs start blooming. While many lawn owners still think that the best way to ensure that their lawn grows strong and beautiful quickly is to apply the fertilizer first thing in spring, when the snow has just melted and nature starts to show the first signs of coming back to life. In fact, early fertilization can cause more harm than good. When the soil is just starting to warm up and the grass is starting to live again after long months of vegetative state, the plants first put all their energy into strengthening and growing roots to prepare for themselves a strong base that can survive whatever weather will come along during the upcoming year. If you add fertilizer in this early stage of development, you will divert the plant’s energy from growing strong roots to growing leaves. Whether you choose synthetic fertilizer or organic from Revive of Colorado , make sure to apply it when the temperature conditions are right – in most geographic regions, the soil reaches the temperature specified above during the second half of April. Repeat the fertilization a couple of times during the peak season, too and your lawn will surely stay beautiful all year around.